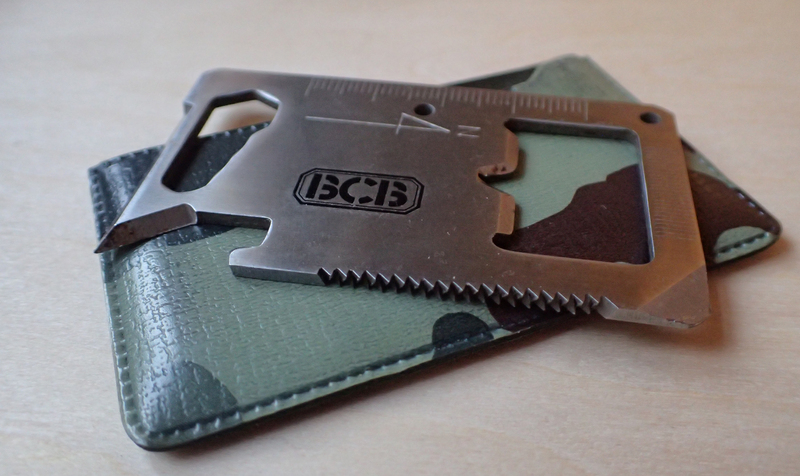 Having a clear out the other day, I came across a ‘blast from the past’, a little metal tool from BCB that I used to carry for around a decade or so before switching out to more useful tools for my Every Day Carry, or EDC. 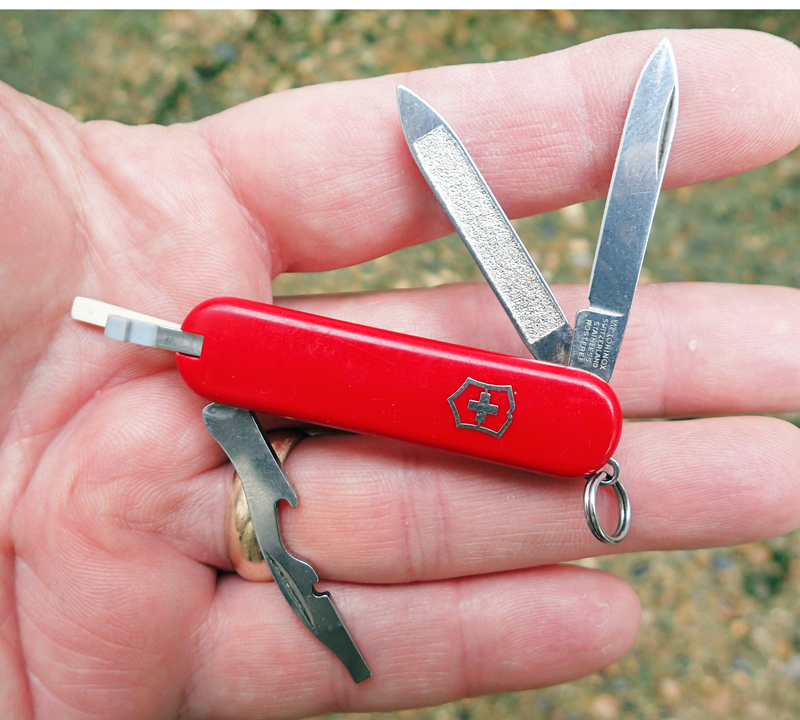 This little card sized tool would even accompany me on the odd hike a couple of decades ago, but at 30g, or 40g with its vinyl sheath, it offers too little practicality today so will probably go back into the drawer. 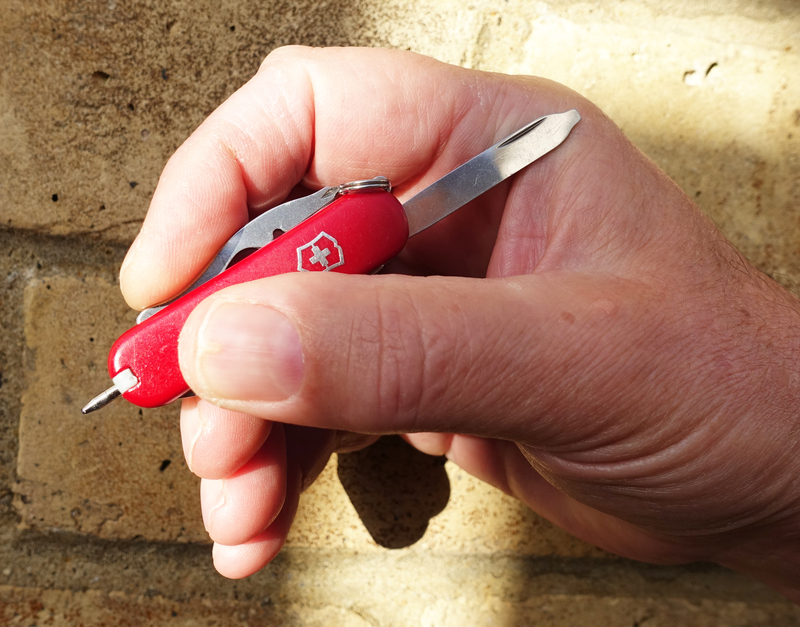 This little tool, measuring 69mm x 40mm x 2mm, has been updated then cloned by numerous other manufacturers in the intervening years. The modern copies, the majority of which seem to be Chinese made, are pretty shoddy in comparison. 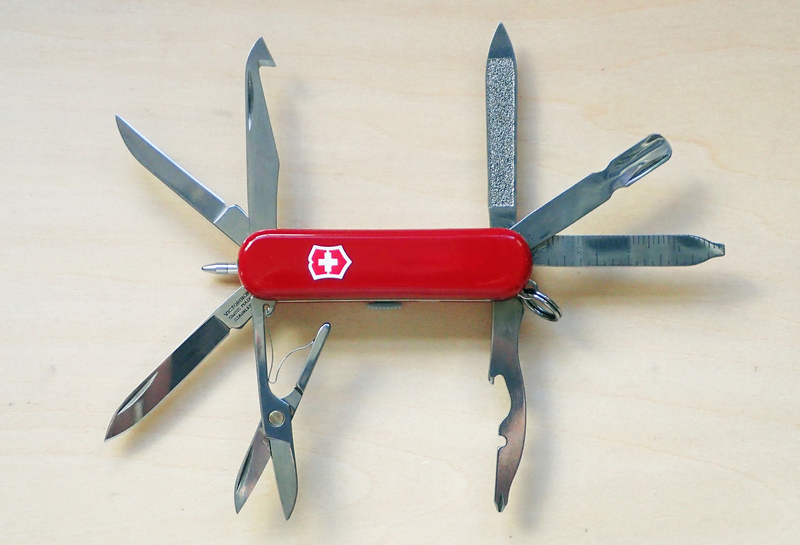 Every equivalent card tool I have seen of recent years has any number of extra ‘useful’ functions incorporated, few of which are actually useful. 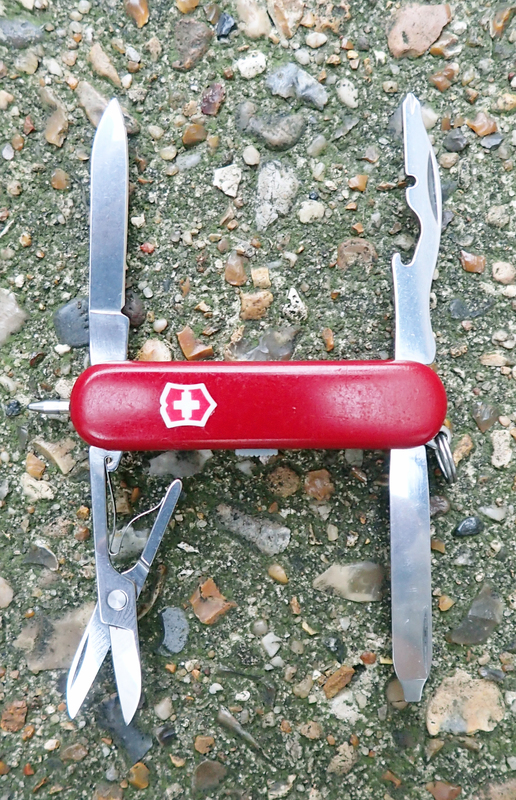 Always of most use to me was the corner flat screwdriver (mine is pretty torn up now), bottle opener (or cap lifter), the point of the tin (can) opener, which was always useful for opening packages etc. and the the ‘knife’ blade. 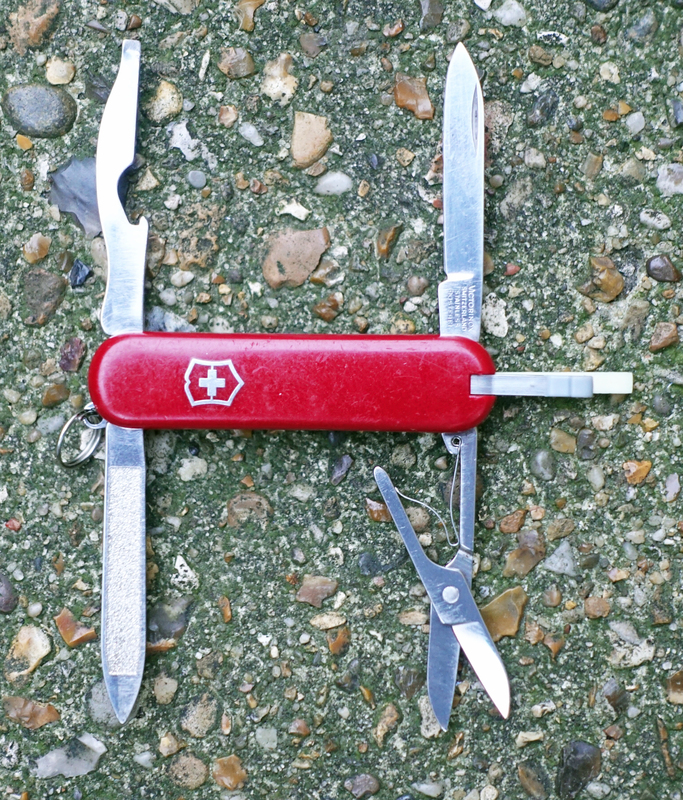 I can’t really call it a blade as it is more a 45 degree sharpened 29mm edge at one end of the tool but it would still cut cordage with a bit of effort. 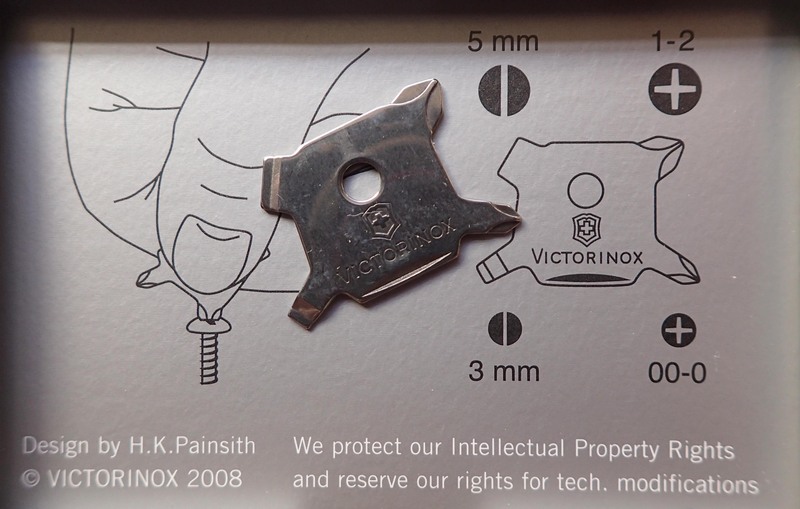 The cut-out hex wrenches on these tools are never any use as you usually need to access from above the nut instead of from the side. I really do feel that the more modern versions have lost much of the capability even though they seem at first glance to offer more. 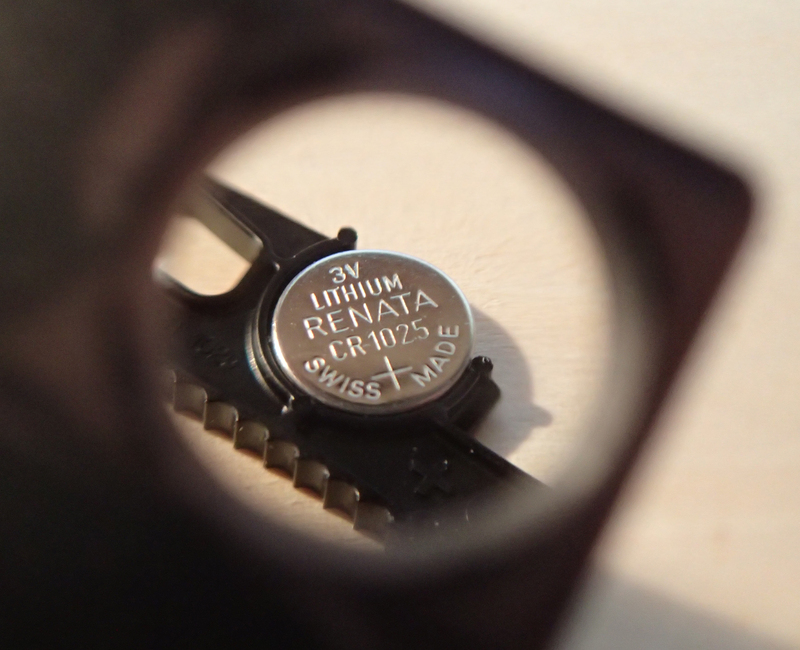 More recent versions often have a bearing plate for a button compass, but not the actual compass. The tin opener has become far less aggressive, and as a consequence, far less practical in use. This was probably because the piercing point on the earlier version protrudes further and is therefore more likely to cause injury to the unwary. Another reason why a nasty little camo vinyl holder was supplied. 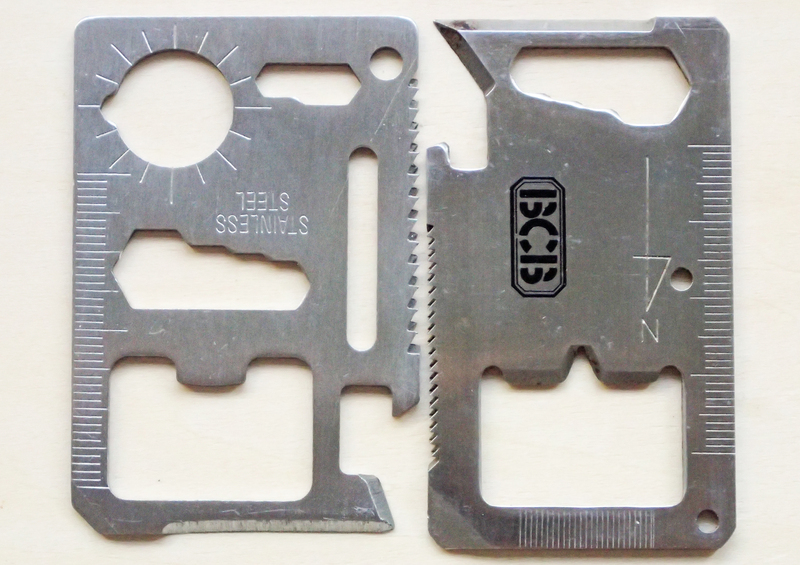 The saw blade on the early version is, while very short at just 31mm, actually well cut and aggressive. Recent versions have a far less effective saw. 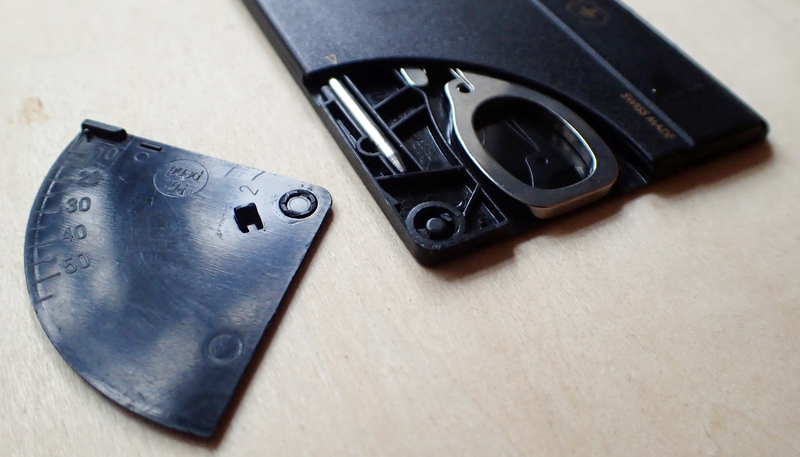 The wire stripper has also been excluded from the bottle opener in the modern version. All of these changes mean that modern rubbish versions can be picked up for a pound or two. 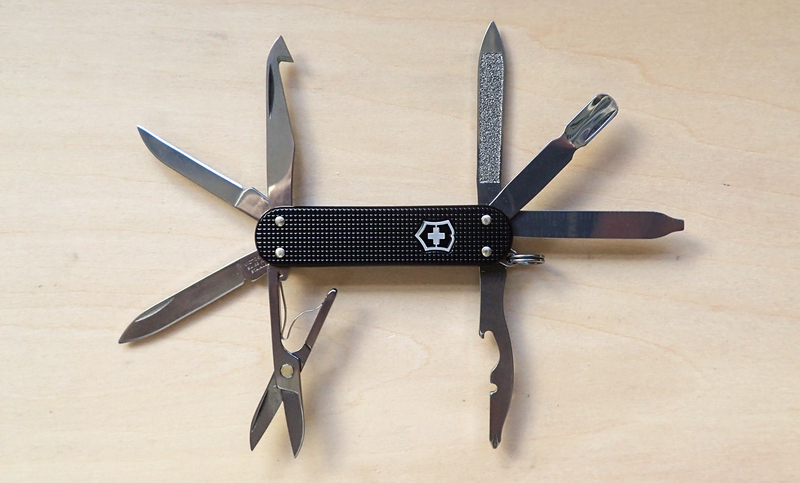 I don’t carry one of these credit card sized tools with me now, preferring the greater versatility provided by a proper, fairly small, multi-tool from Victorinox or Leatherman, supplemented by other tools in my EDC on occasion. But on trail, I usually settle for something far simpler, more on that in a future blog or two. 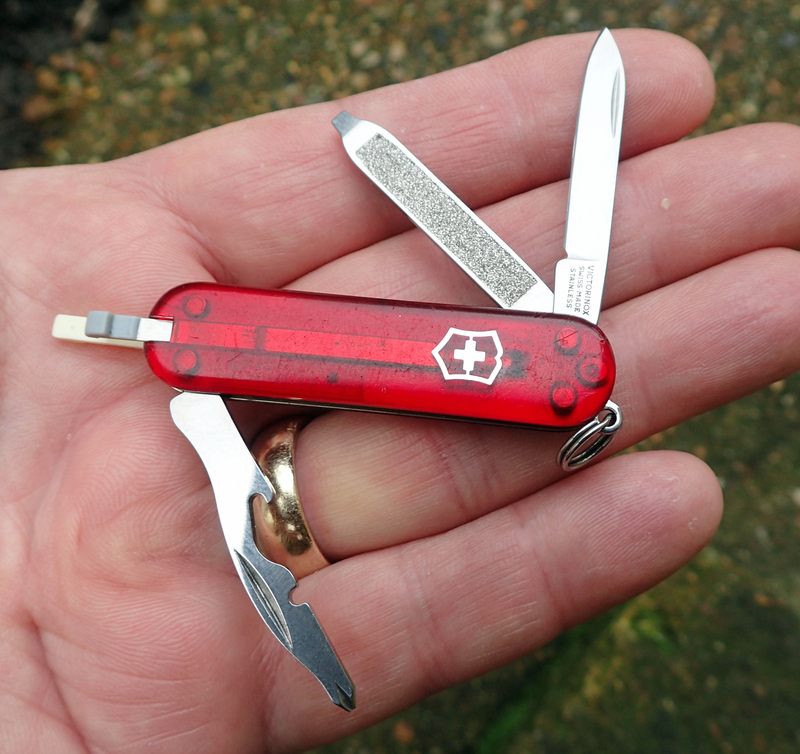 This entry was posted in Gear, Uncategorized and tagged EDC, gear, knife, saw, small stuff on January 4, 2019 by Jools. I recently received a sweet little package through the post. I ordered the Firefly firesteel when I came across it on Kickstarter. It is one of those simple ideas that you wonder why no-one had produced before. 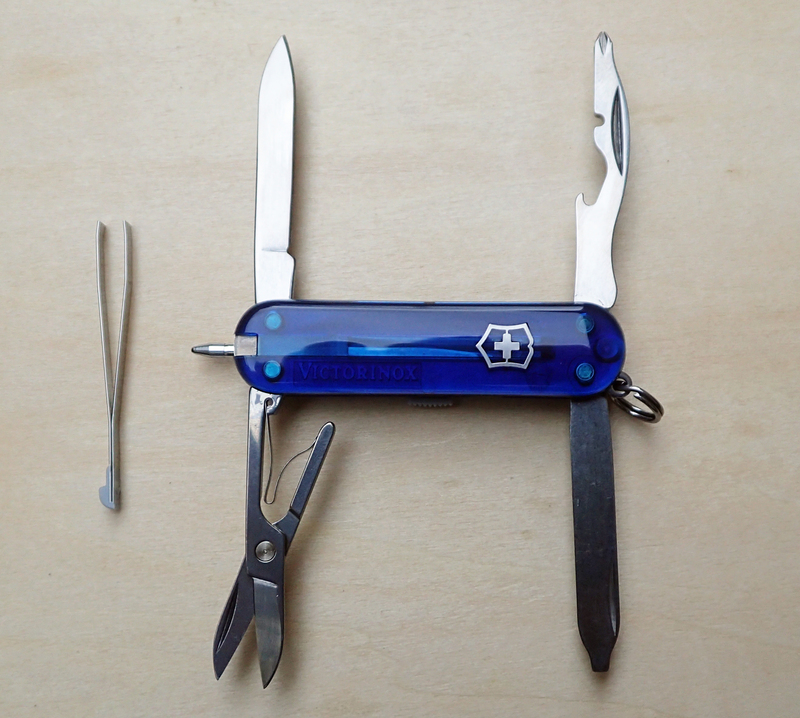 A very small, very slim ferrocerium rod that takes the place of the toothpick in a Swiss Army Knife. One of these fire steels is not going to last any great length of time. 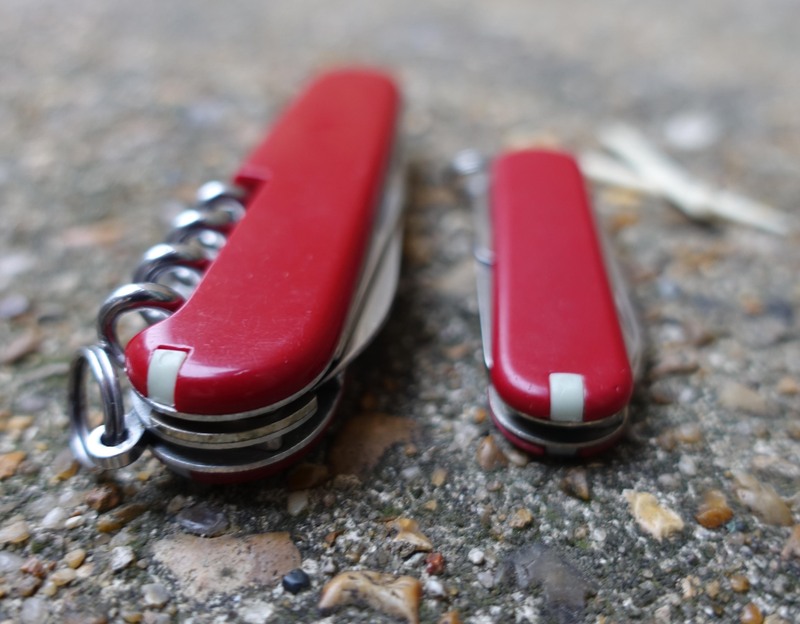 Instead, they work well as an emergency carry, for those times where you get caught out for some reason, wet matches, ineffective lighter etc. 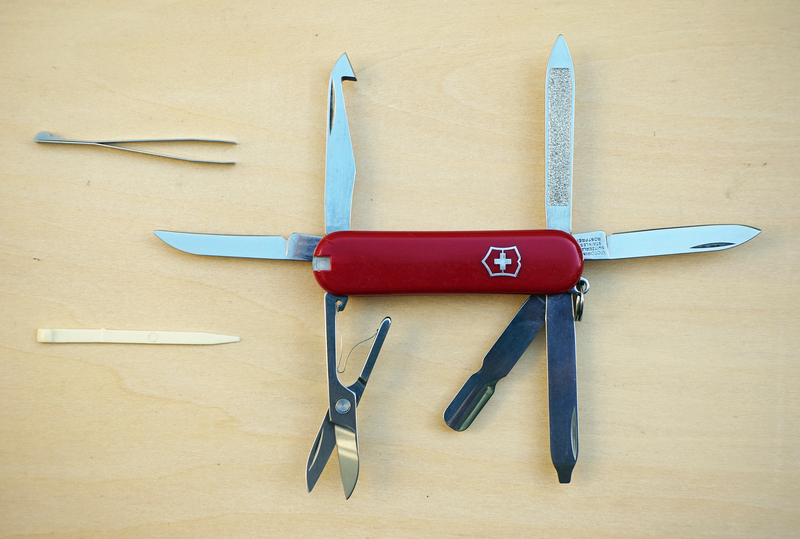 A good edge is required to raise a spark so not every tool in a Swiss Army Knife is effective. 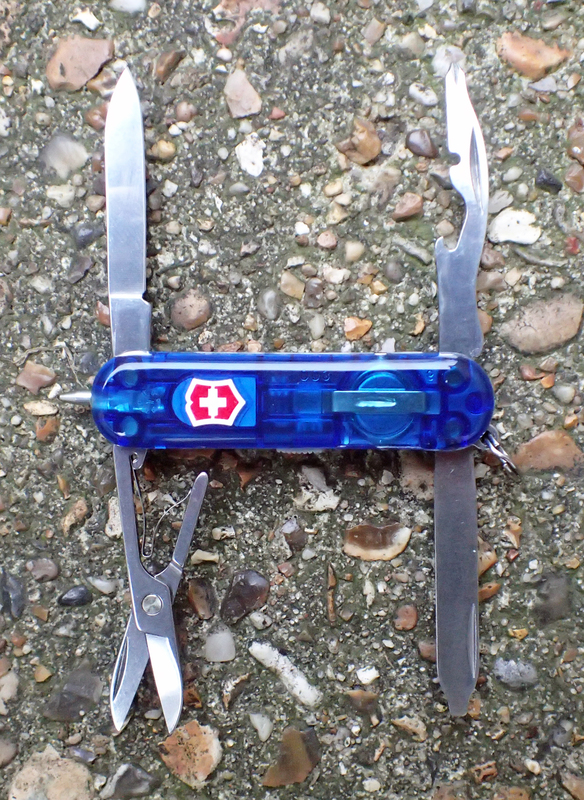 You will see me use the back edge of a saw in a Wenger Swiss Army Knife in the film below. 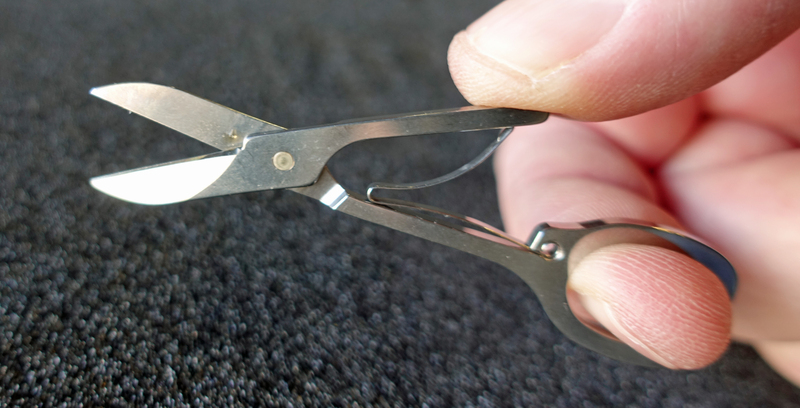 But scissors, awl and fish scaler are effective too. 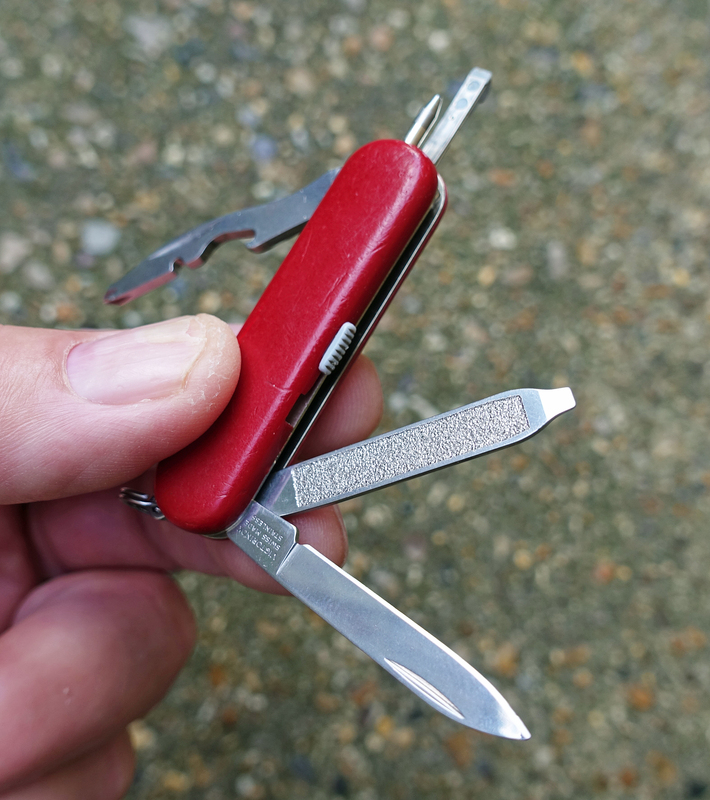 The suppliers of the Firefly, Tortoise Gear, say that a can opener or file tool could also be used, however I have had less success with these. 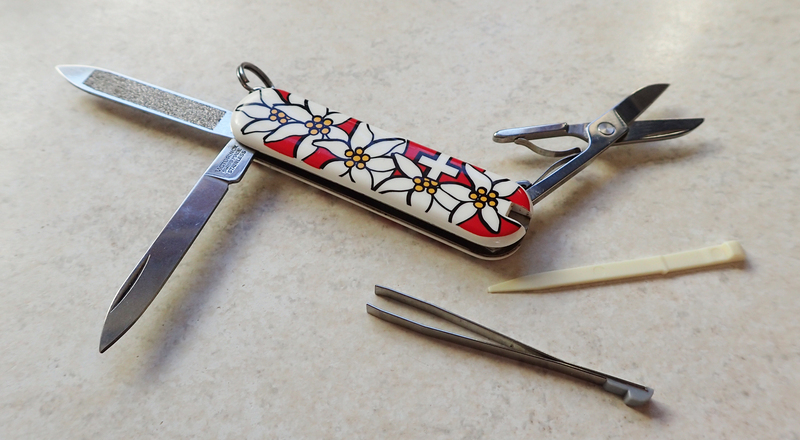 The knife can also be used but I’m not wrecking my blades attempting to do so. 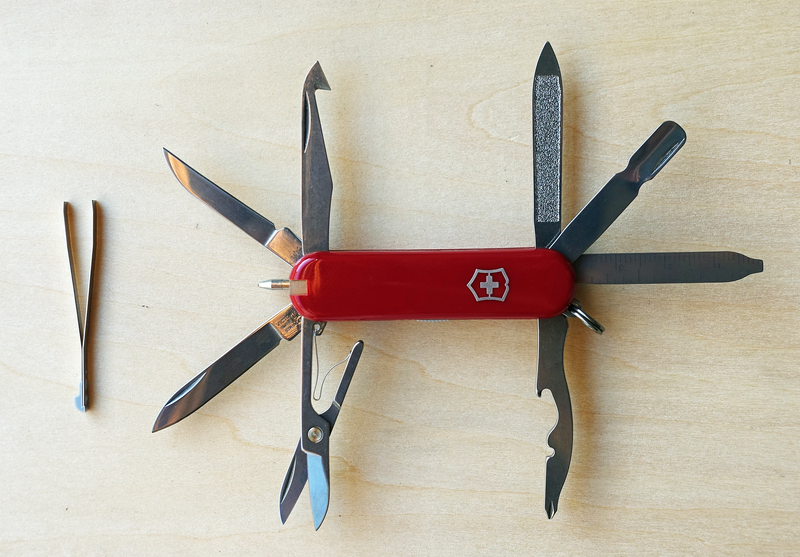 The back of a tool in a Swiss Army Knife can also be filed to give a good ninety degree angle for striking a steel, but likewise, I’m not butchering the tools on my knives. 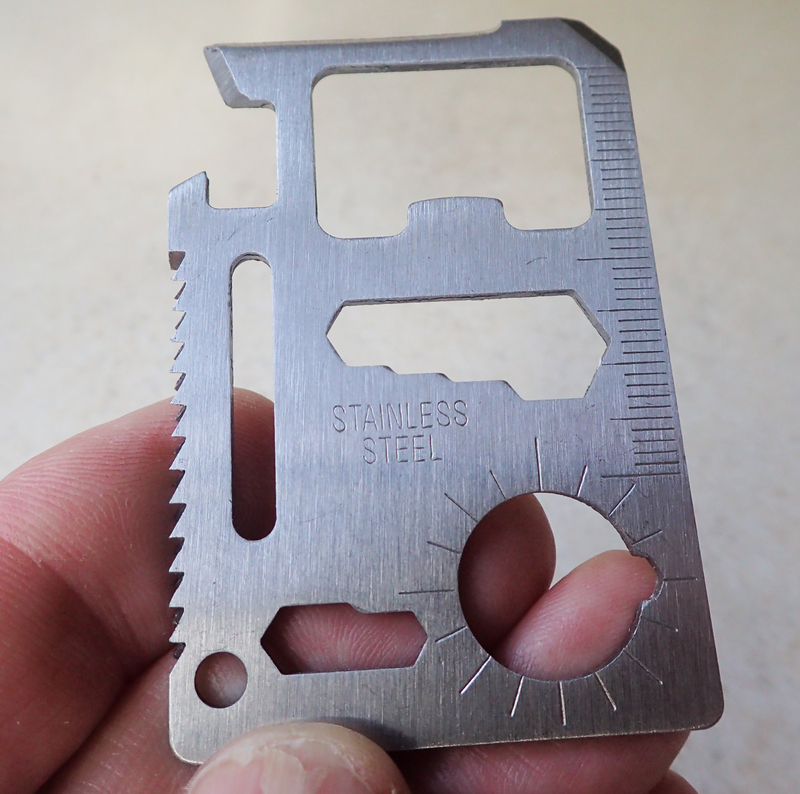 There is an additional technique required when using these mini firesteels, you have to support the steel with a finger to stop it being broken. 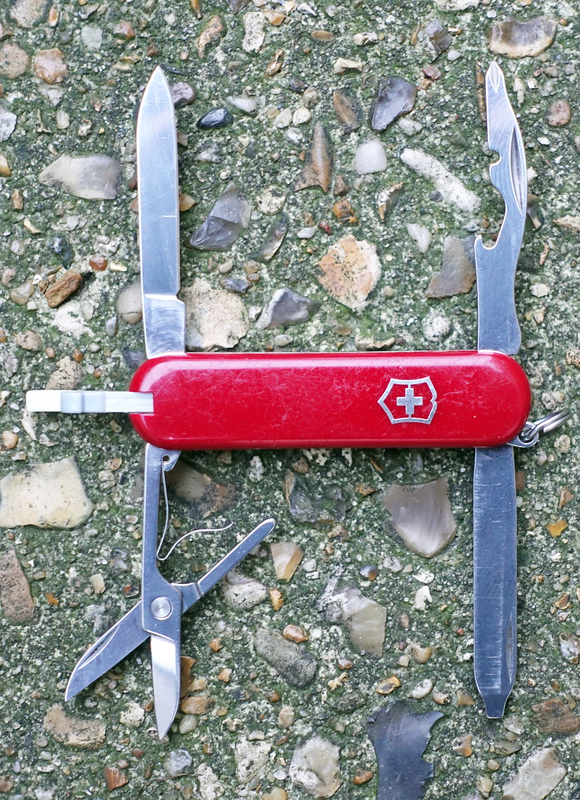 Also, strike along the thin edge rather than the wide edge, this stops it being worn away during use and no longer fitting tightly into the slot in the scales of your Swiss Army Knife. Should you be interested, the larger 52mm Firefly weighs 1.7g , and the smaller 44mm Firefly Mini weighs a paltry 1.2g. 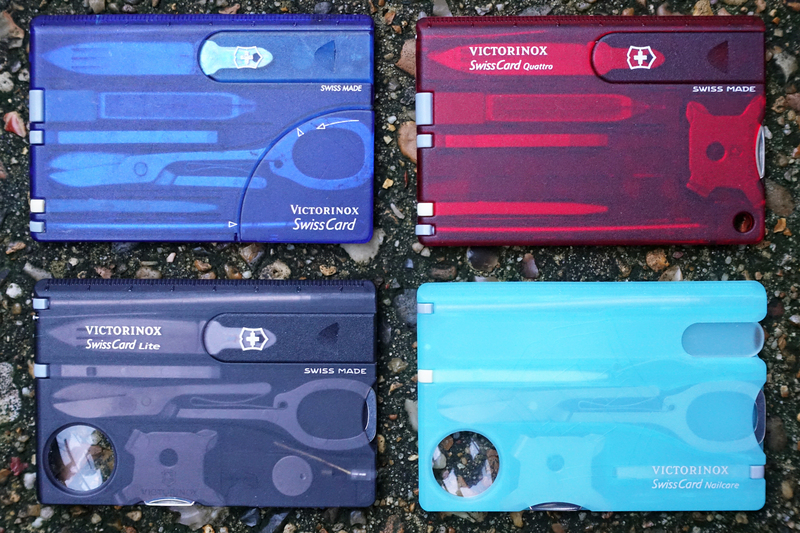 So if you carry a Victorinox with you on trail or as an EDC, you may like to consider these. Alternatively, simply slip one into your ditty bag along with a small striker. One word of warning though, if living in the UK, watch out for those customs fees! 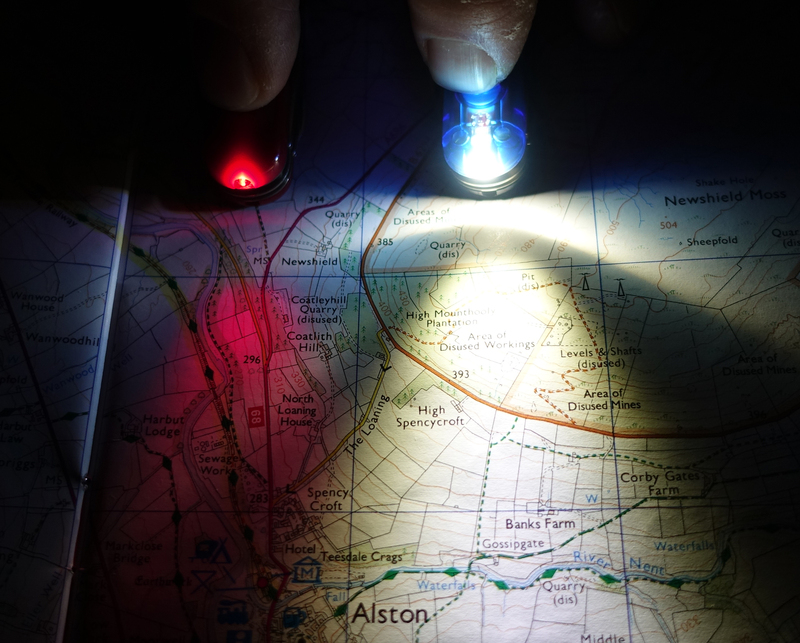 This entry was posted in Fire, Gear, Skill, Uncategorized and tagged Fire, fire steel, gear, knife, Skill, small stuff on October 13, 2018 by Jools. 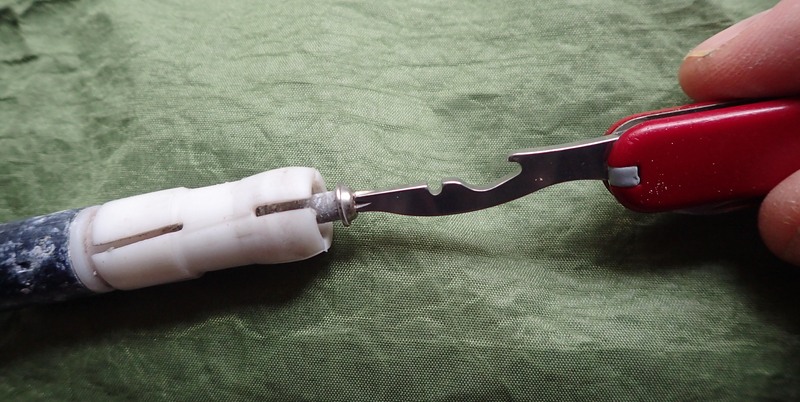 This is a wheeze for those who cut tooth brushes in half to save a few grams. 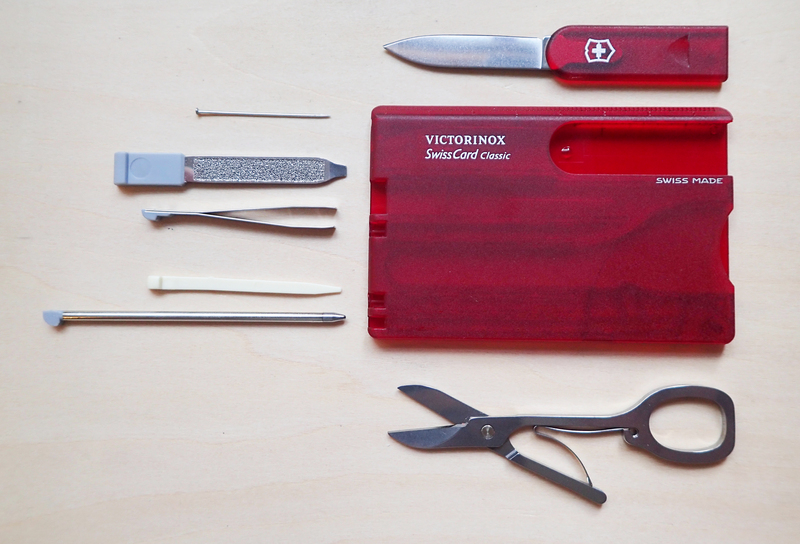 What I have done here is pull a few medicines from my First Aid kit with a view to cutting their weight. 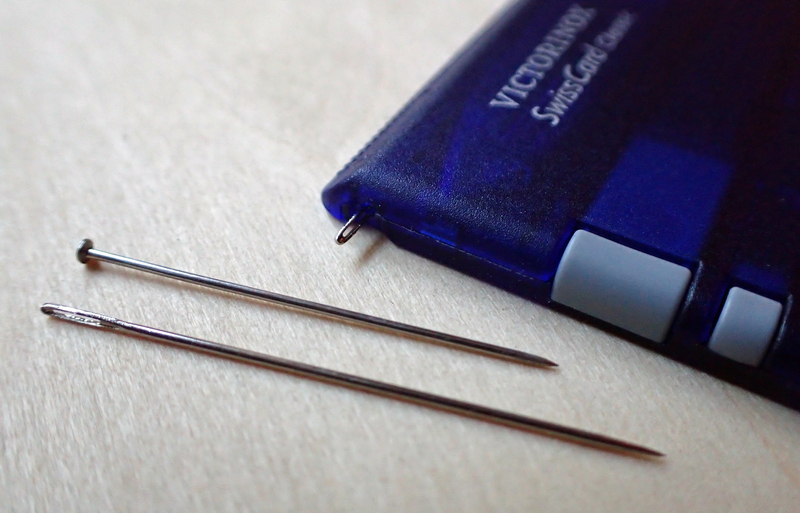 Three Points of the Compass carries a veritable arsenal of tablets and due to the fact that many tablets in the UK come in blister packs, it was time to remove some of that bulky packaging that is simply adding needless weight to the pack. Take a look at that packaging above- Before I removed the tablets from the blister packs, it totalled 21.4g. That rubbish in the top picture formed 17.6g of that total. 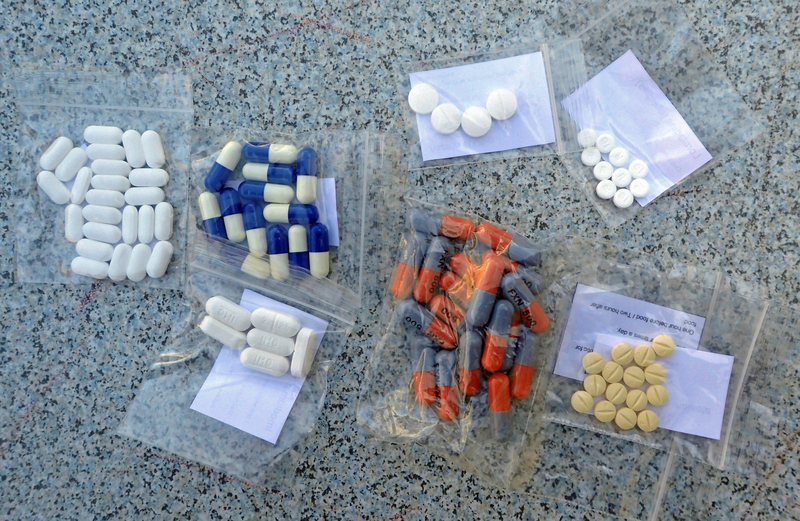 Once decanted in to little baggies, together with small slips of paper detailing the contents and any relevant dosage recommendations, my tablets came to just 3.8g. A worthwhile exercise in reduction. So what medicines am I carrying on my Big Walk? Loratadine and Chlorphenamine maleate (first and second generation anti-allergy), Aspirin and Ibuprofen (painkillers), Loperamide (anti-diarrhoeal) and short courses of Doxycycline and Flucloxacillin (broad and narrow spectrum antibiotics/penicillin). 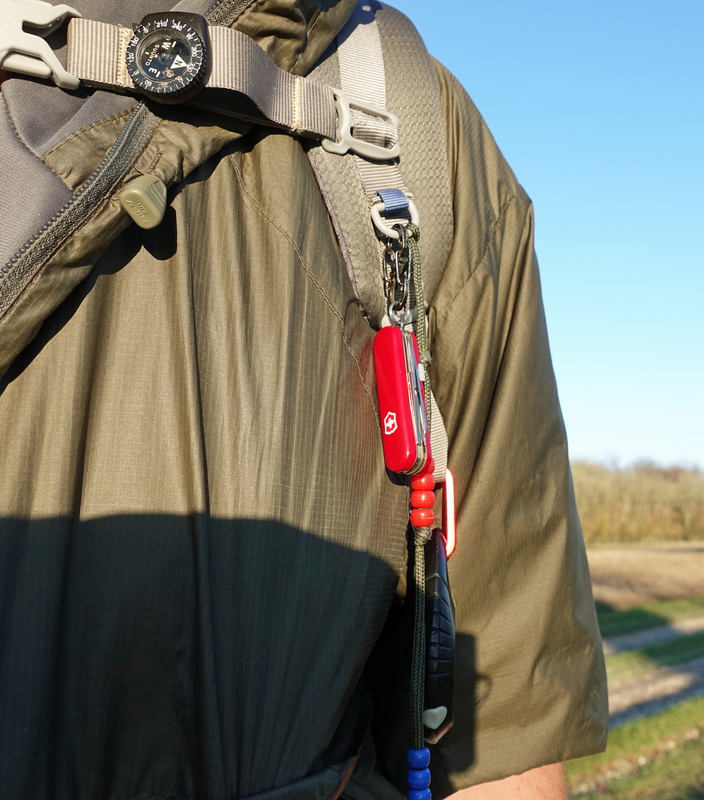 Similar reductions can be made throughout your gear if you take a careful look. 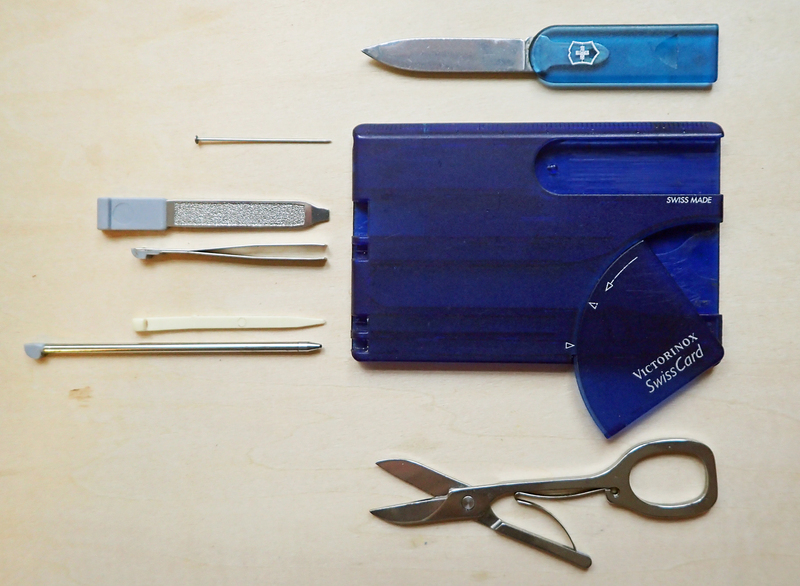 I recall reading of one chap a few years back recording a fifty gram reduction from the simple expedient of cutting out the care and material labels from every item of clothing he took. I haven’t gone that far… yet. And no, I don’t cut the handle off my toothbrush. 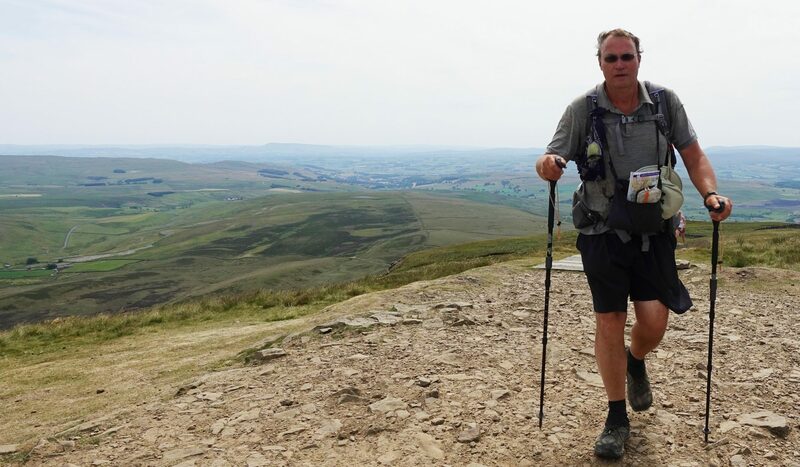 This entry was posted in Gear and tagged first aid, gear, Knowledge, small stuff on February 15, 2018 by Jools.